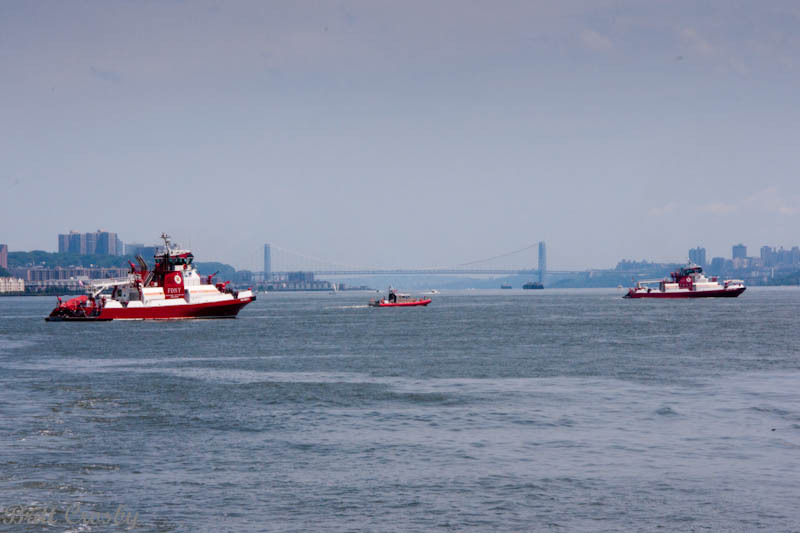 There is perhaps no other city that comes to mind first when thinking about fire boats. 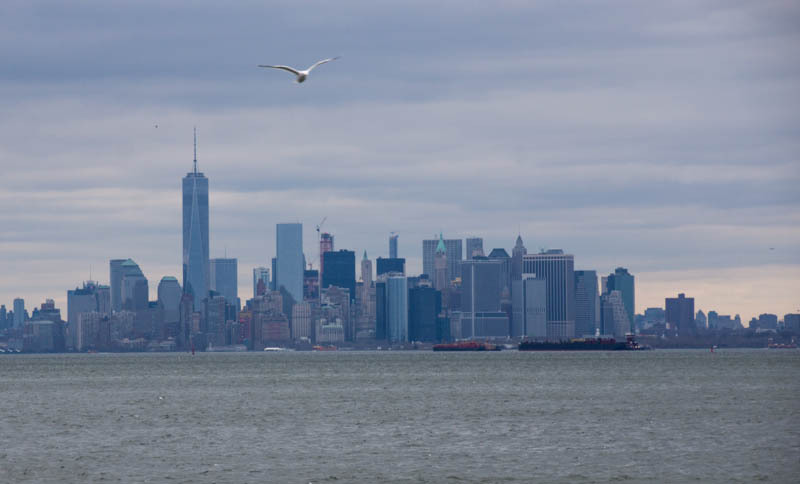 in the Hudson River are two of the more recent. reduced the fleet to 4 Marine Companies. 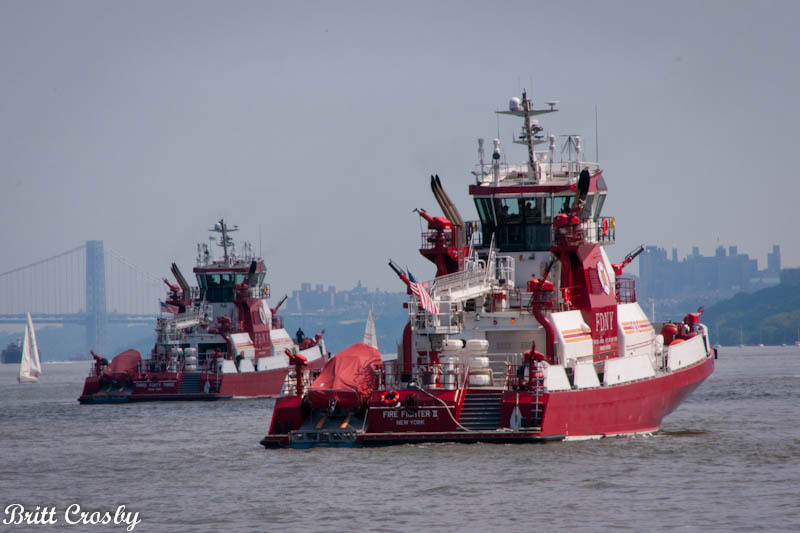 Marine 1, 2, 6 and 9. 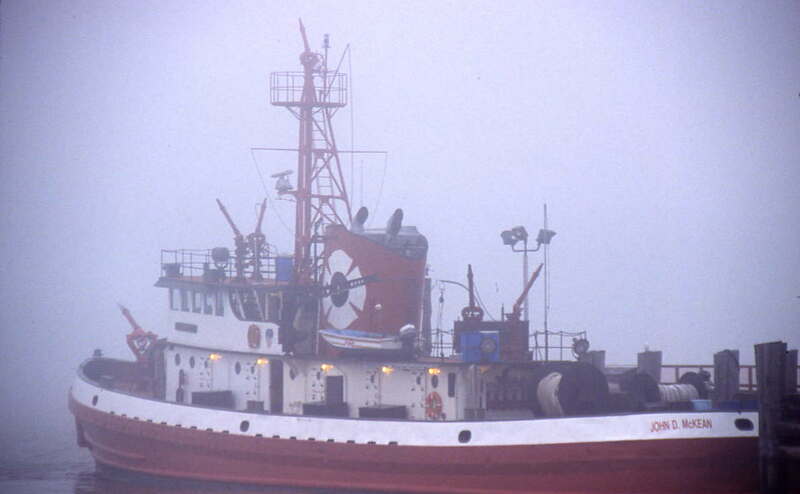 In 1992 that dropped to 3 Marine Companies with the closing of Marine 2. 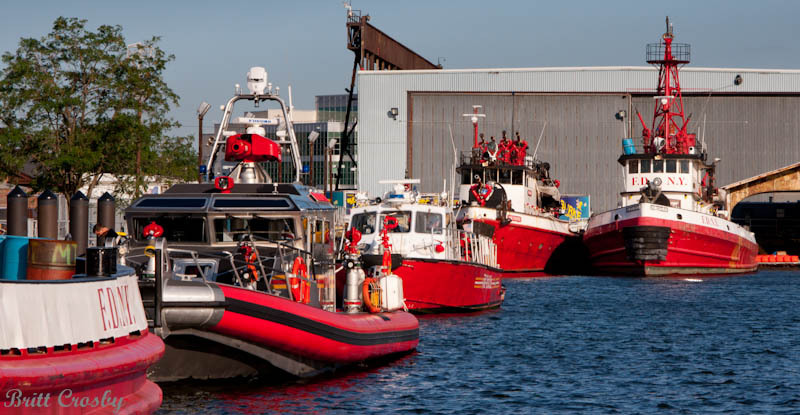 The current Marine Companies 1, 6, and 9 continue to provide service. capable of pumping in excess of between 10,000 and 20,000 gpms. 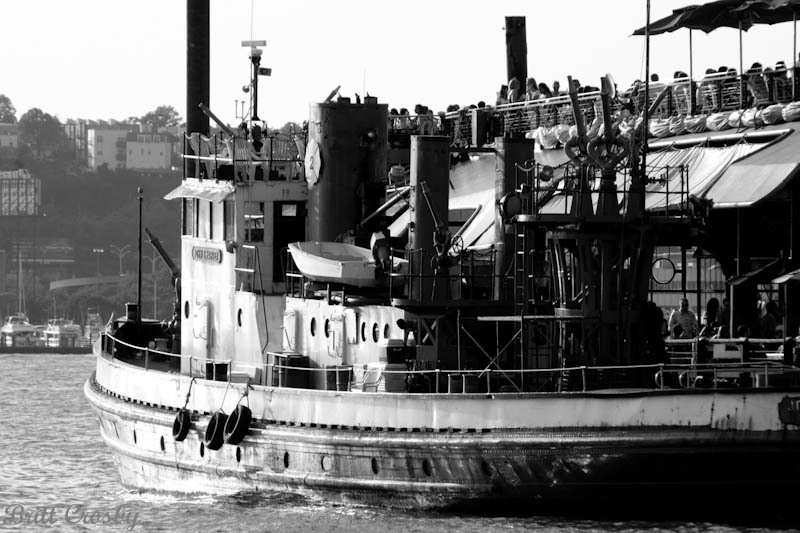 recent boats, although each boat holds its own special place in history. and developed plans for upgrading the fleet to meet the needs of the future. 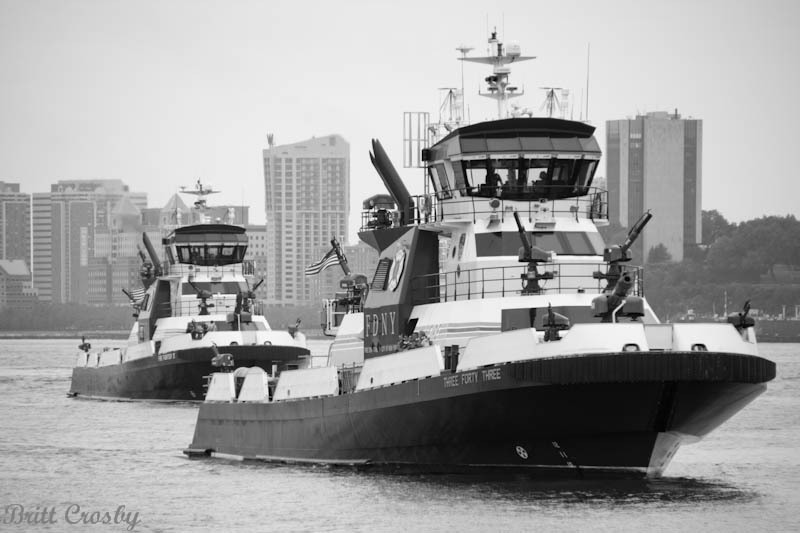 In the 2010 and 2011, three new and powerful boats entered service. 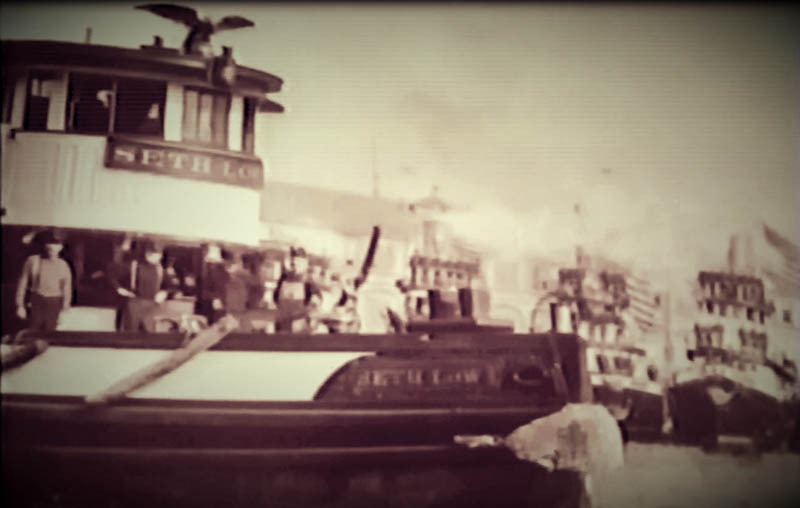 The older boats have either gone into reserve status or retirement. 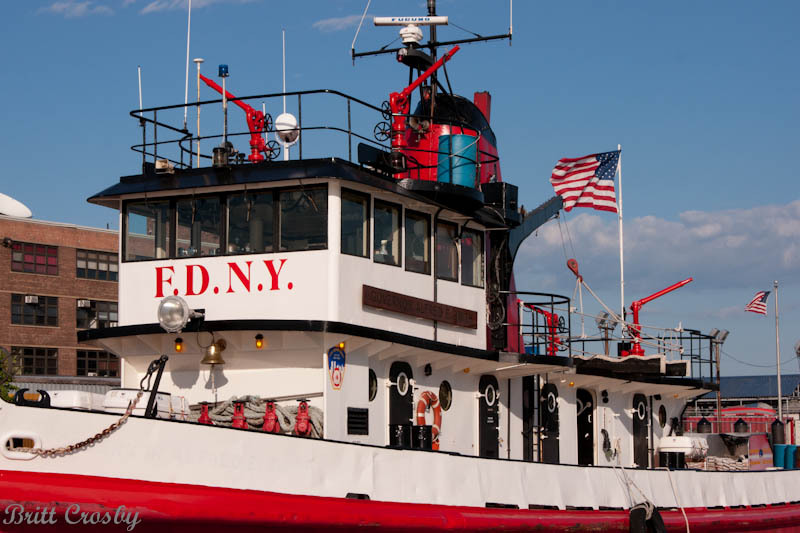 Today, the FDNY operates the most modern and powerful fire boats in the world. 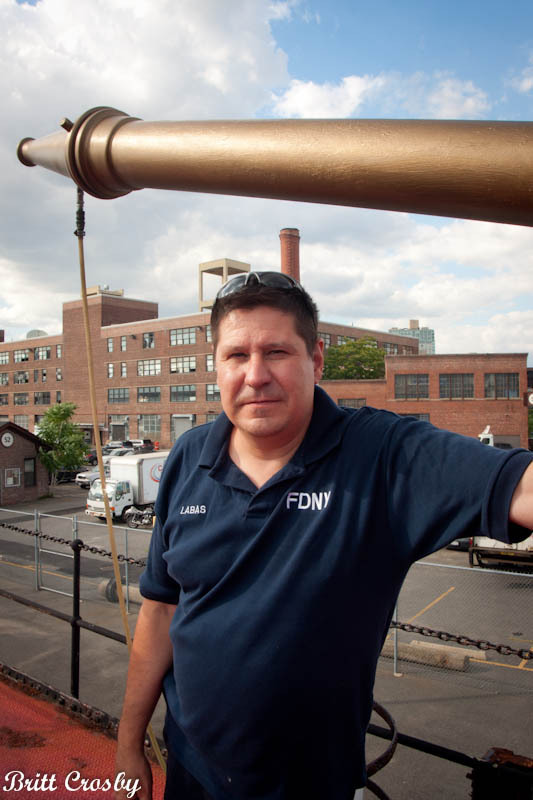 larger that all older boats and can pump twice the water, 50,000 gpm each! The third boat is the fastest of the fleet, cruising at 50 knots when needed. Thanks to those who helped me take these pictures. at the foot of the World Trade Center. 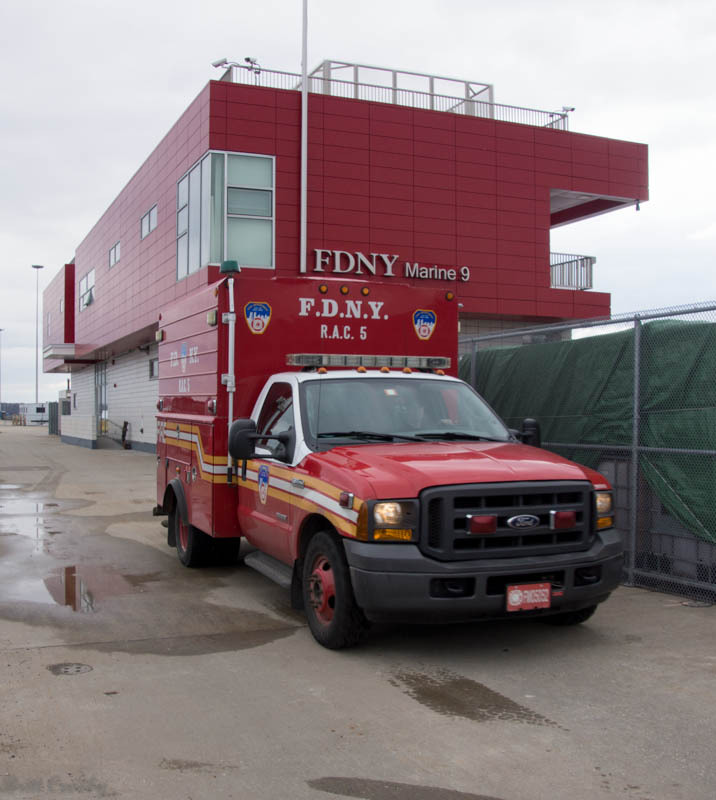 are the two Big Boats in the FDNY. 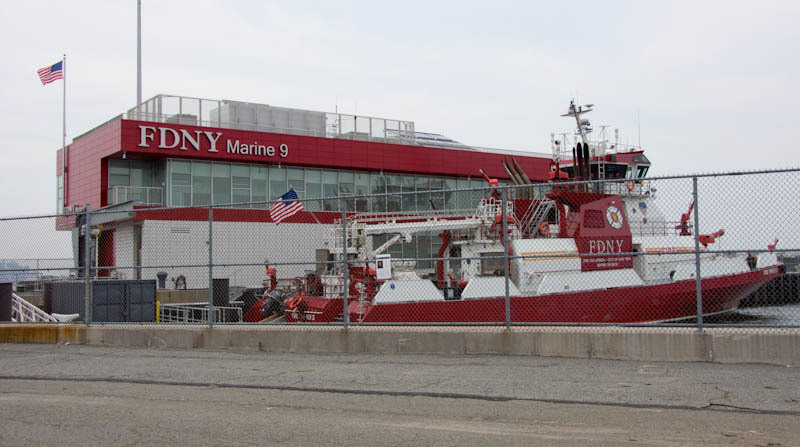 FDNY MARINE CO. 9 "FIRE FIGHTER"
and maybe take a ride on her!. Fire Boats are all about pumping water... lots of water! are available to deliver the water where it is needed. 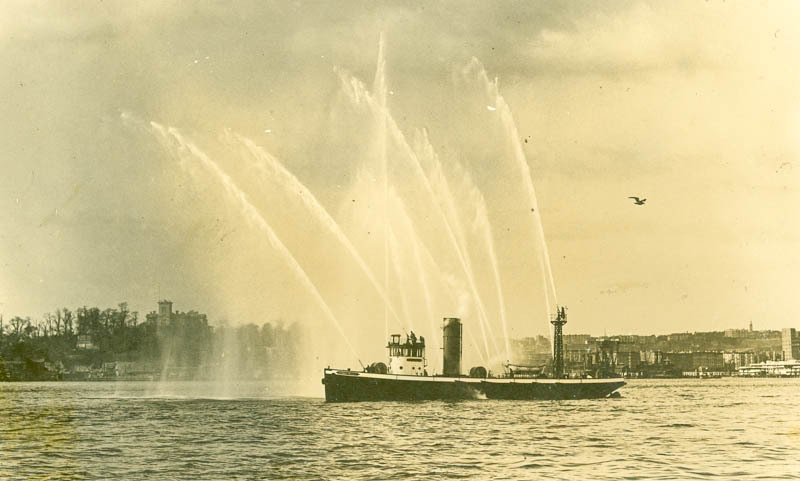 The large capacity deck guns of the "Fire Fighter" and "McKean"
now in reserve / retirement at the Marine Division in Brooklyn. 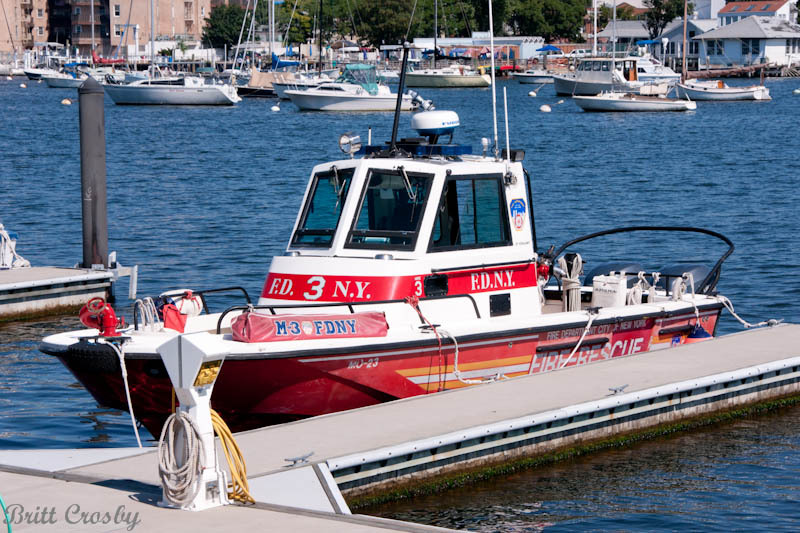 Examples of various boats of the FDNY in 2012. 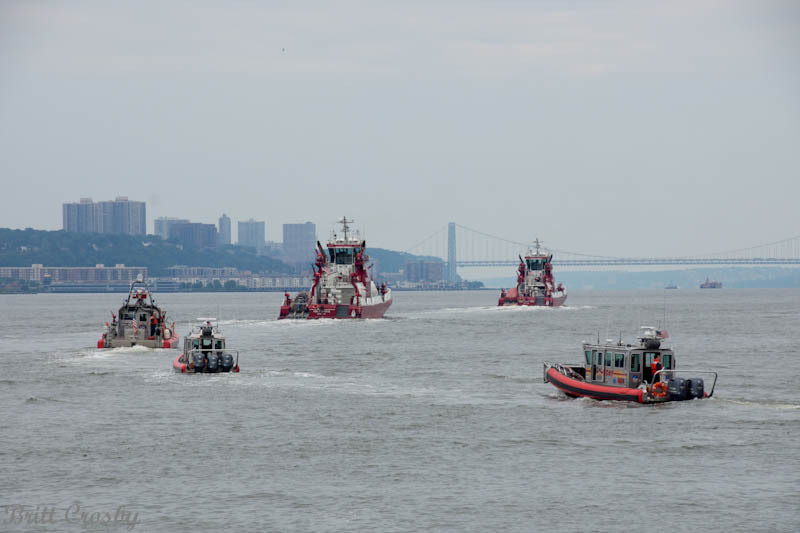 Blessing of the Fleet in the Hudson. 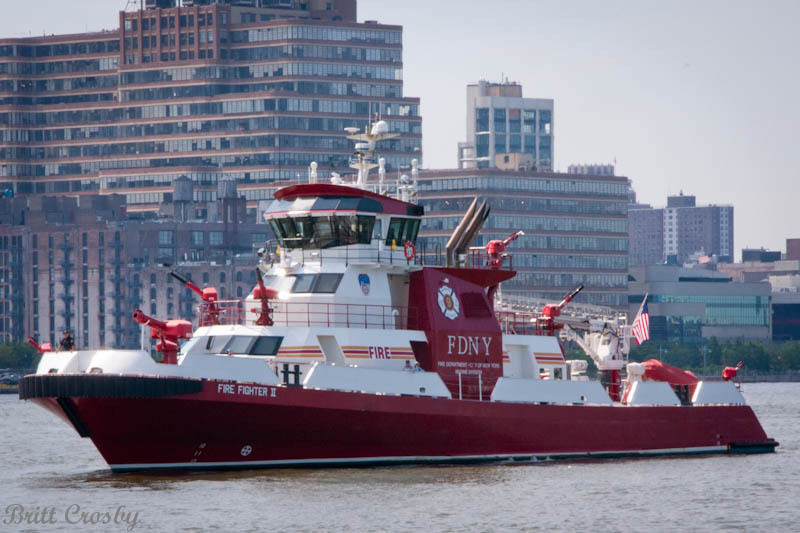 2010 140' Fire Boat 50,000 gpm - Manhattan. 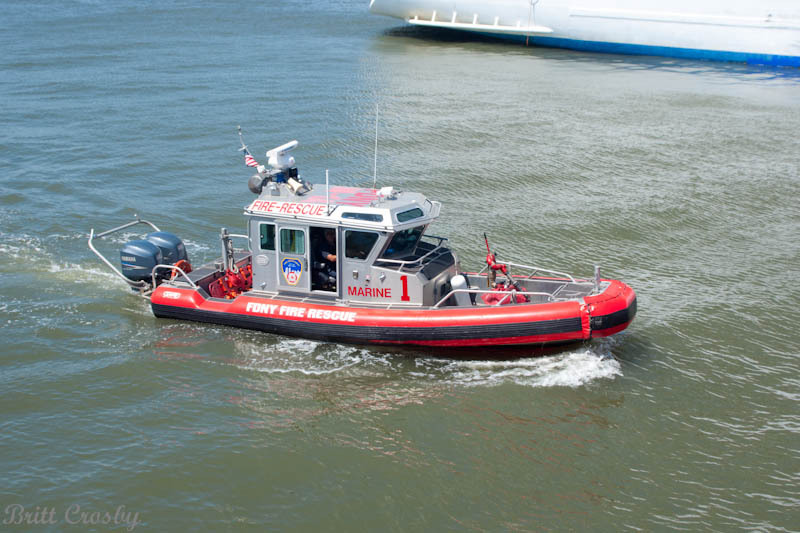 2013 33' Safe Boat Fast Boat "Marine 1 Alpha" 1,000 gpm - Manhattan. 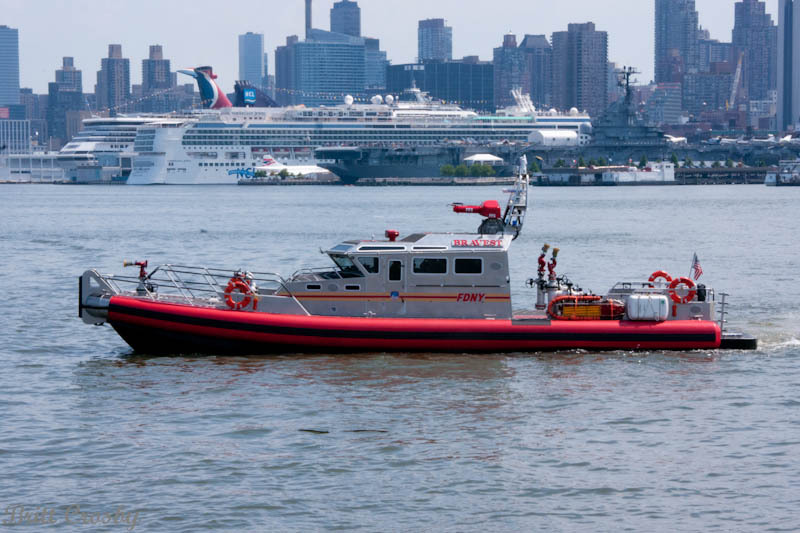 2012 31' Safe Boat Fast Boat "Marine 1 Bravo" EMS/Medical Response Boat - Manhattan. 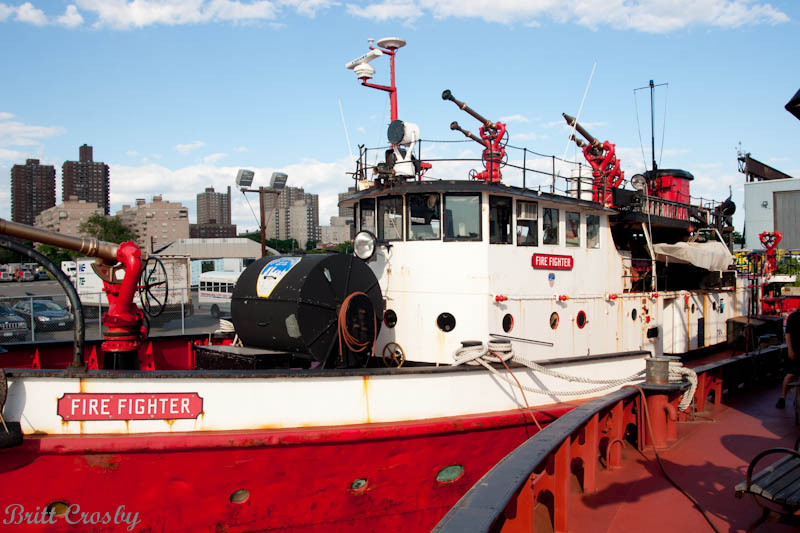 2011 65' Safe Boat Fire Boat 7,000 gpm - Brooklyn. 2015 66' MetalCraft FireStorm70 - 7,000 gpm - Brooklyn. 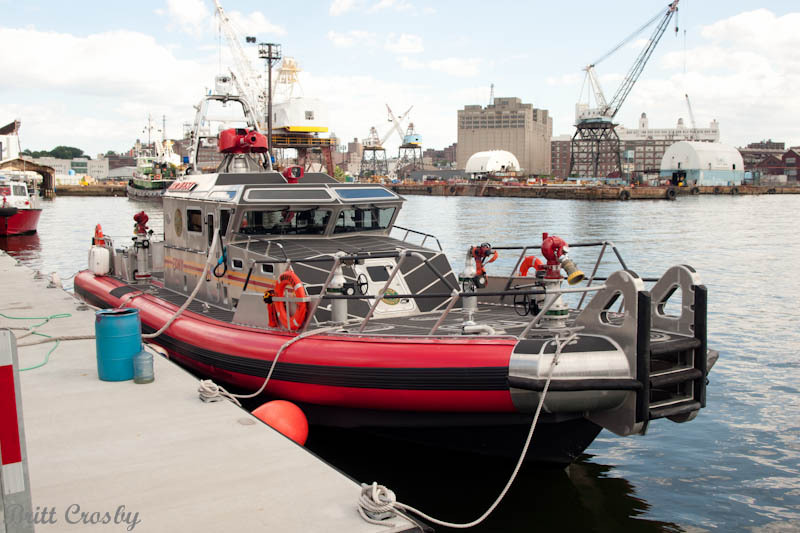 2012 31' Safe Boat Fast Boat "Marine 6 Bravo" EMS/Medical Response Boat - Brooklyn. 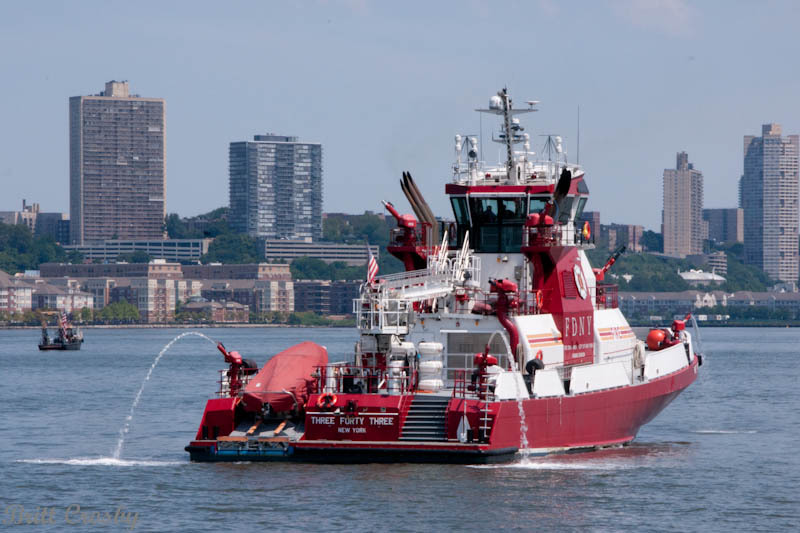 2010 140' Fire Boat 50,000 gpm - Staten Island. 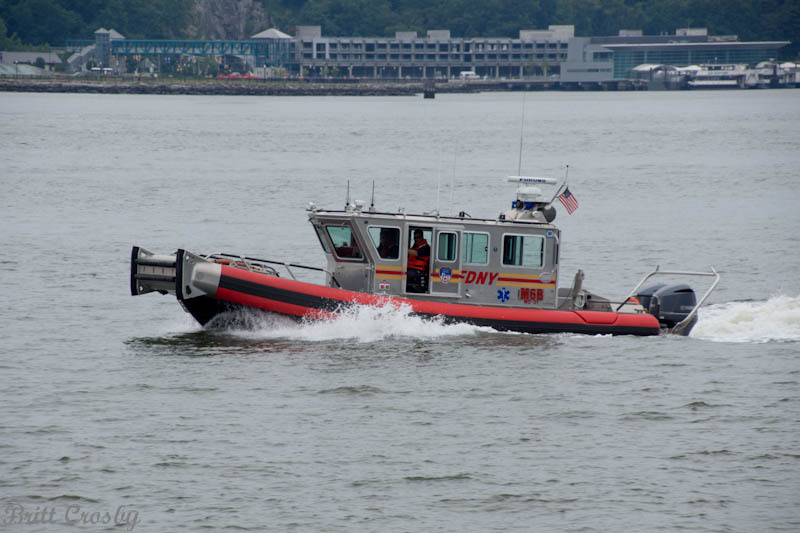 2012 31' Safe Boat Fast Boat "Marine 9 Bravo" EMS/Medical Response Boat - Staten Island. to augment the division during the summer boating season. The "Three Forty Three", "Bravest", and "Fire Fighter II"
opened in 2011. 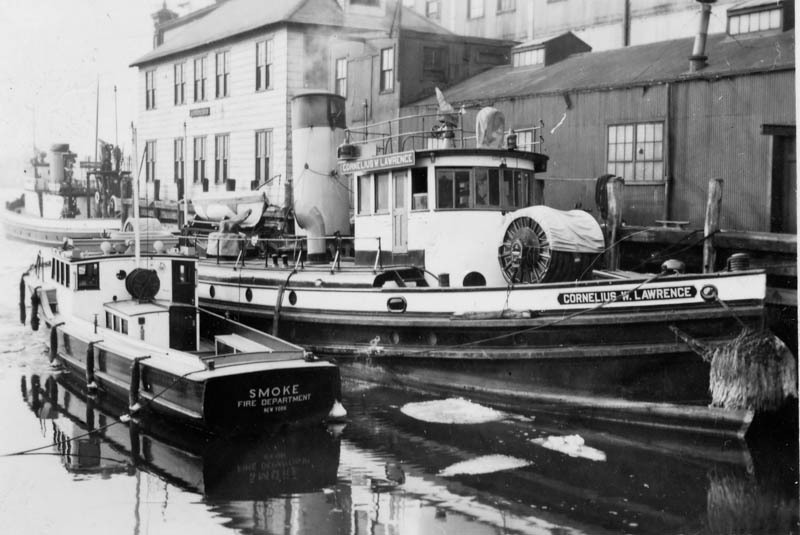 Home to the new Marine Company 1 "343" and "Marine 1 Alpha" small boat. 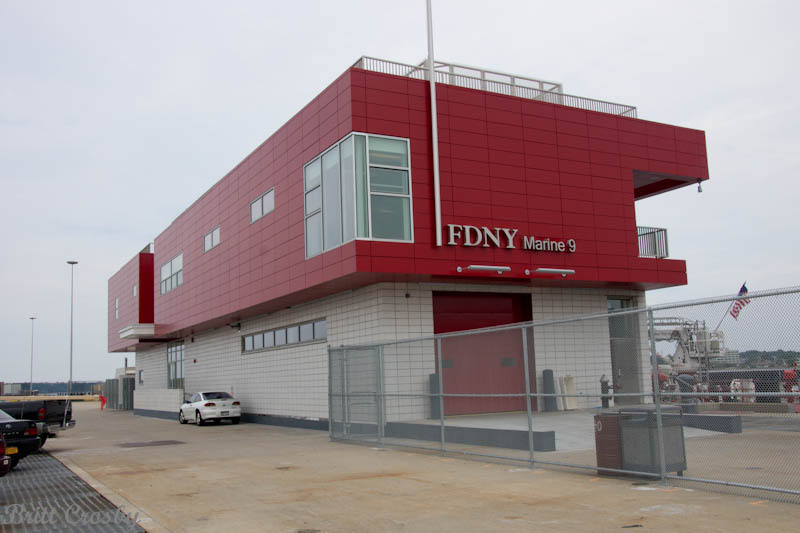 The new home for Marine 1 opened in the Fall of 2011.
is in the former Brooklyn Navy Yard. 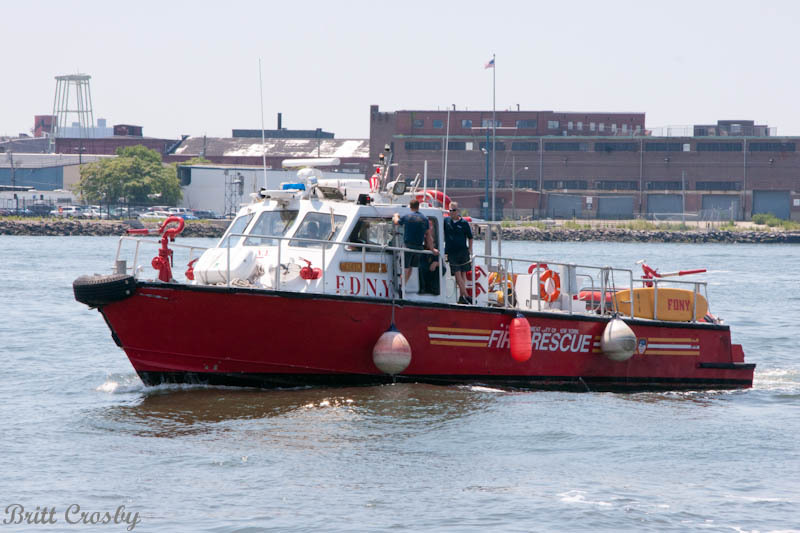 in Brooklyn in July 2011.
the old Marine 9 "Fire Fighter" and the old Marine 1 "John D. McKean". 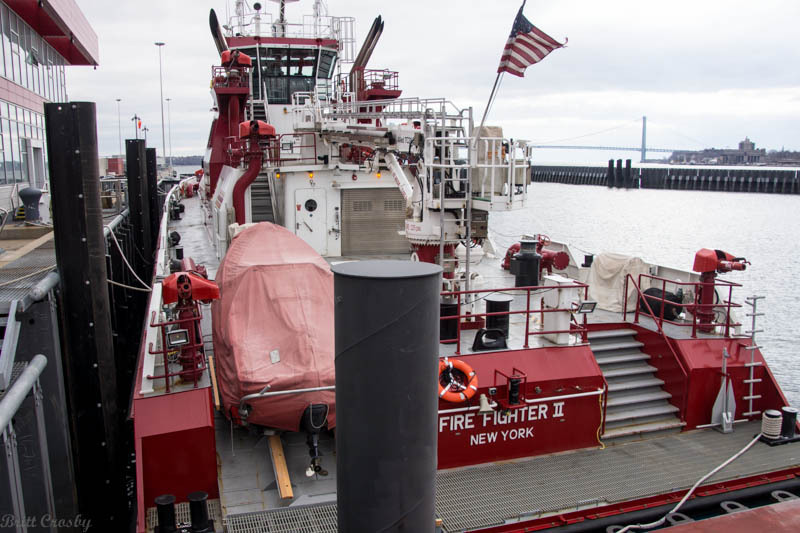 The brand new quarters of FDNY Marine Company 9 "Fire Fighter II"
protecting the boats from the sometimes rough waters of the lower New York harbor. 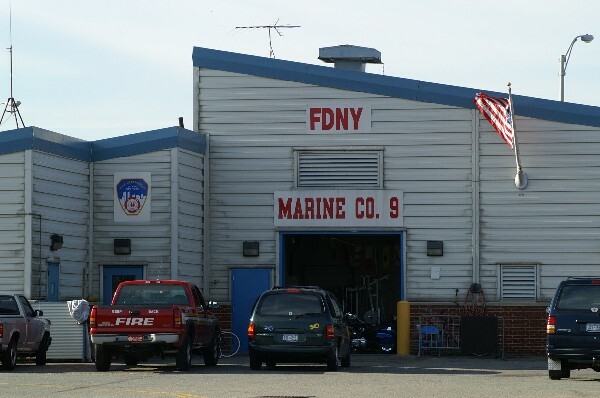 The former quarters of Marine Company 9 on Staten Island. Replaced by the new station on the pier in 2012. 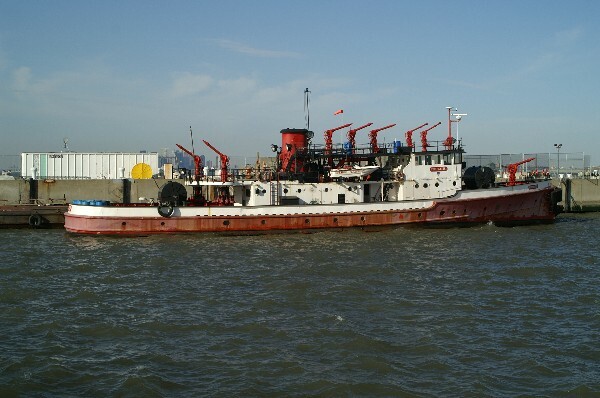 130' Fire Boat of Marine Company 2 built in 1931 and served until 1999. 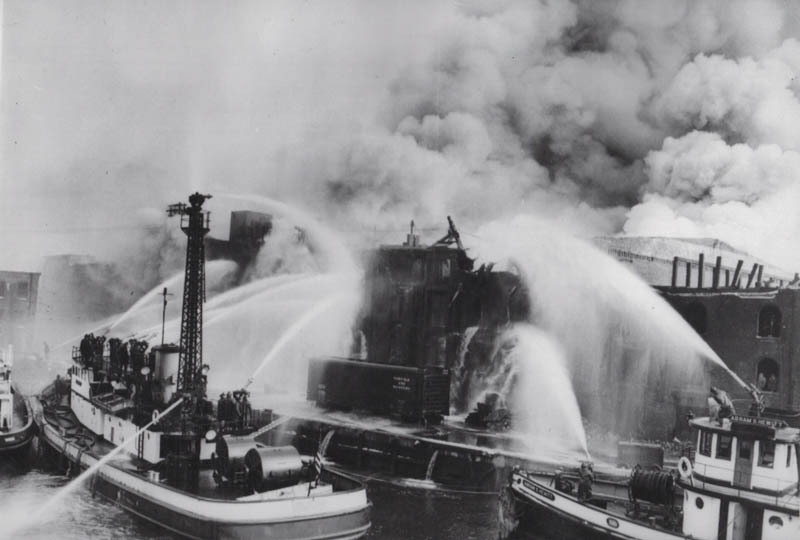 The Harvey could pump 18,000 gpm. 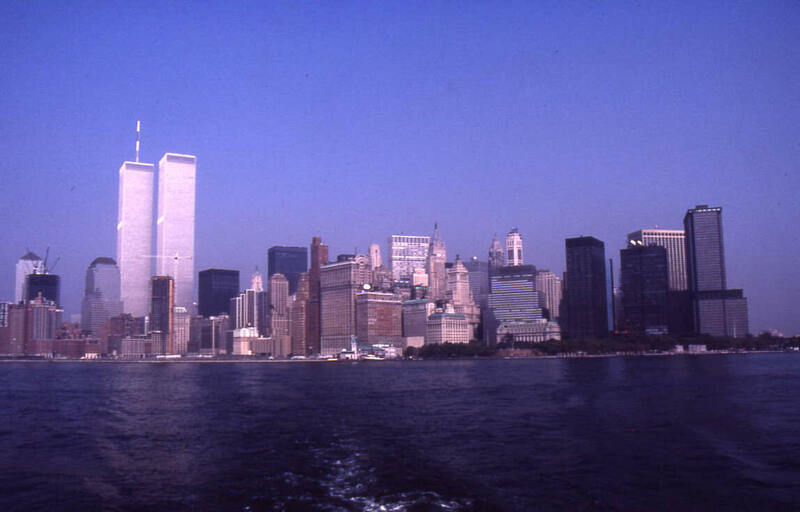 September 11, 2011 attacks on the World Trade Center. 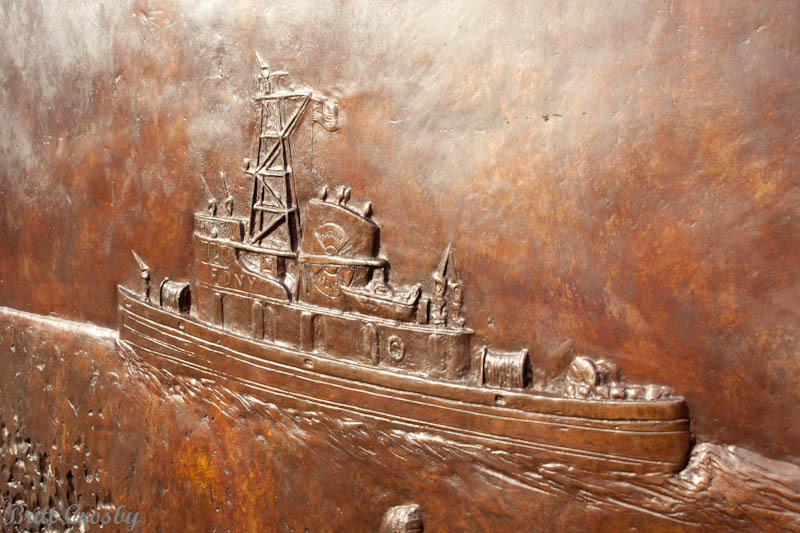 It is now owned, operated, and preserved by a non-profit corporation. 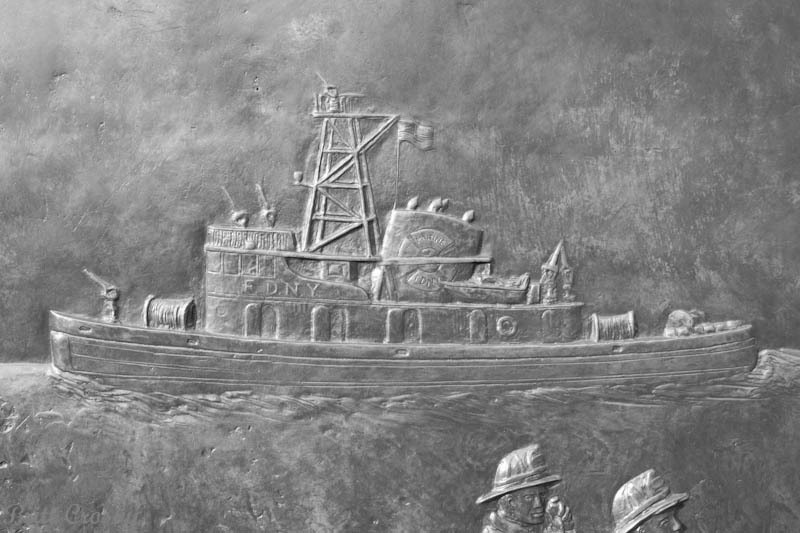 Closeup of Fireboat "William F. Havemeyer"
This amazing collection is courtesy of John Landers and Beth Klein. 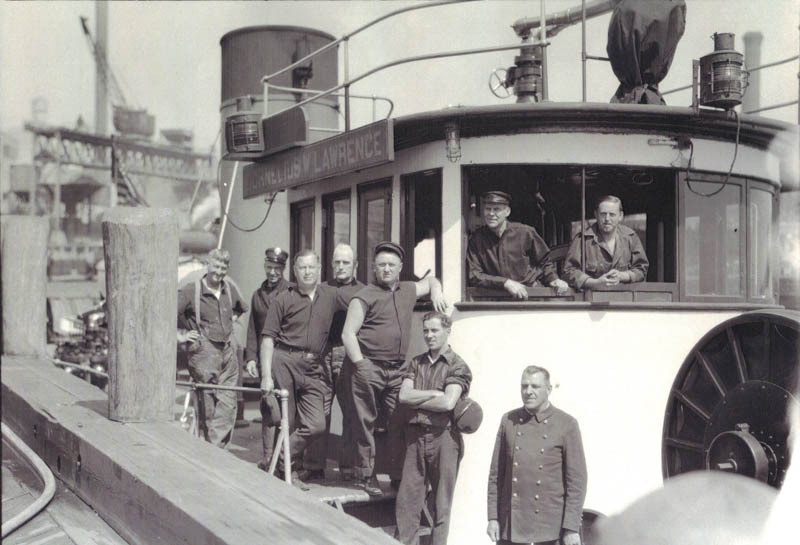 Fireboat "Cornelius W. Lawrence" and her crew. 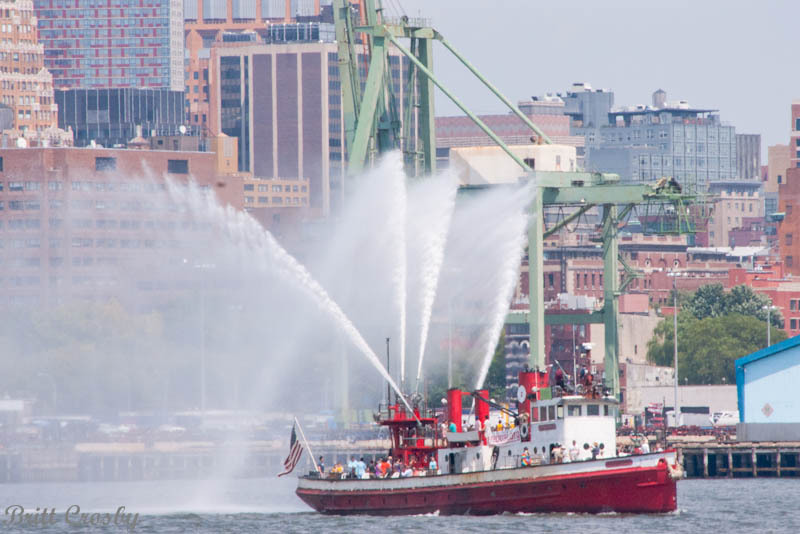 FDNY Fireboat "Firefighter" in action with water tower. 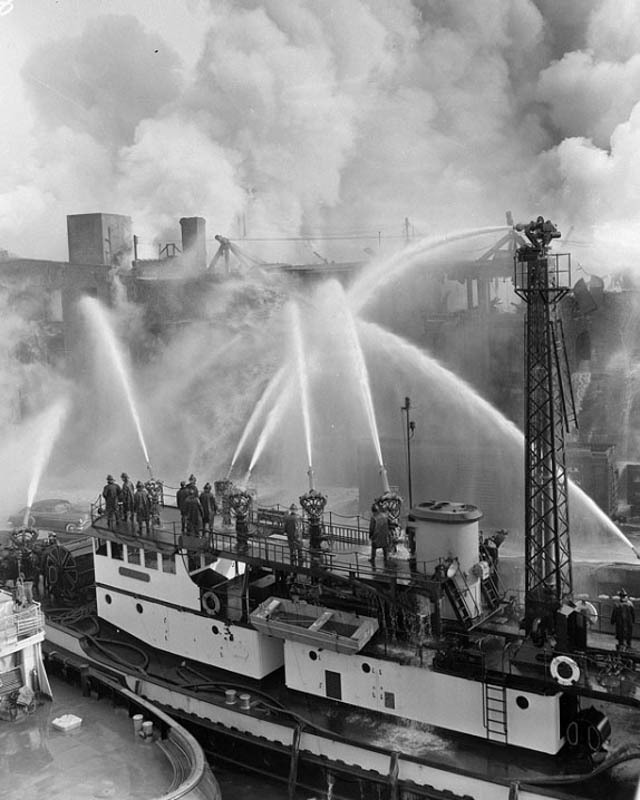 FDNY Fireboat "Fire Fighter" and "Abram S. Hewitt" battle a pier fire in 1954. 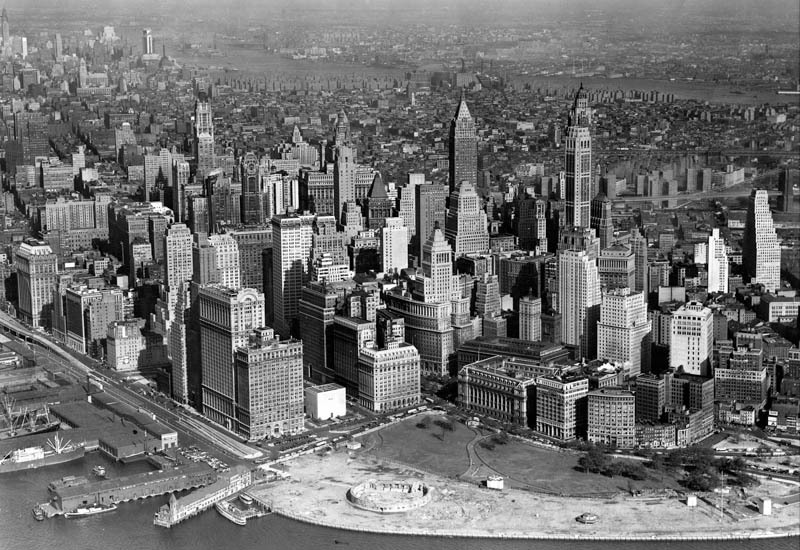 Beautiful photo of lower Manhattan in 1948. 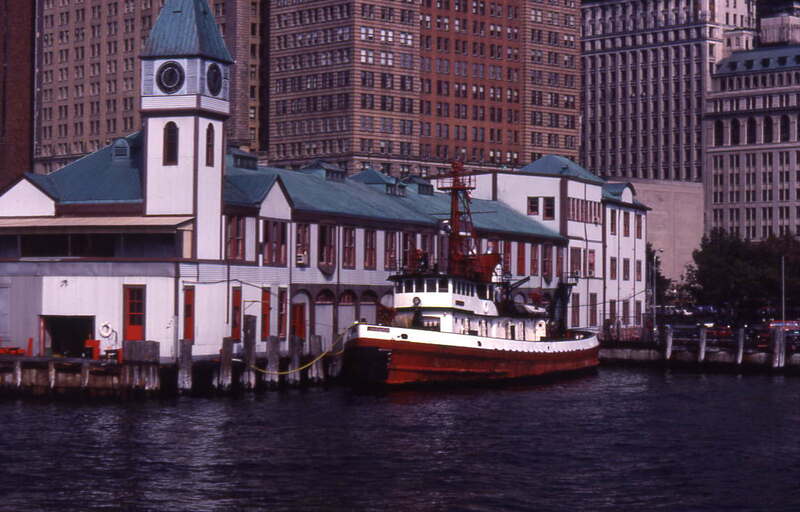 The fireboat "Firefighter", Engine 57, is seen alongside Pier 1 (lower left). 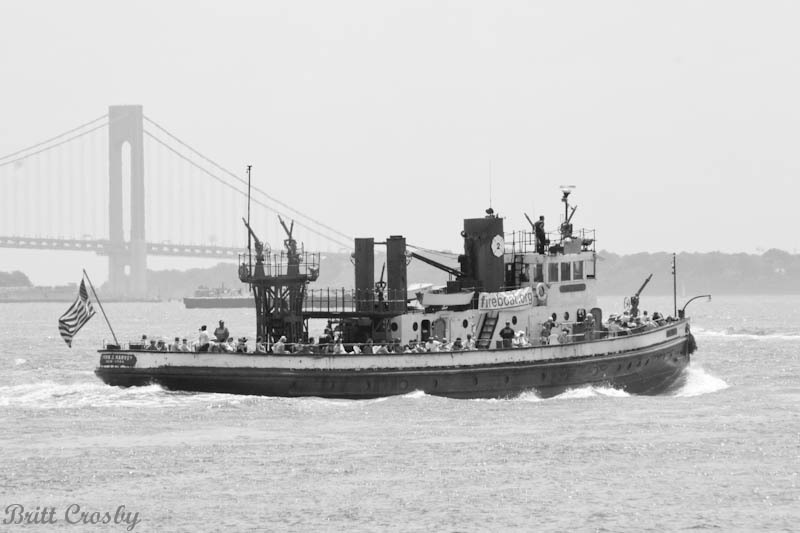 The Fireboat "H. Sylvia A. H. G. Wilks" approaching Manhattan. 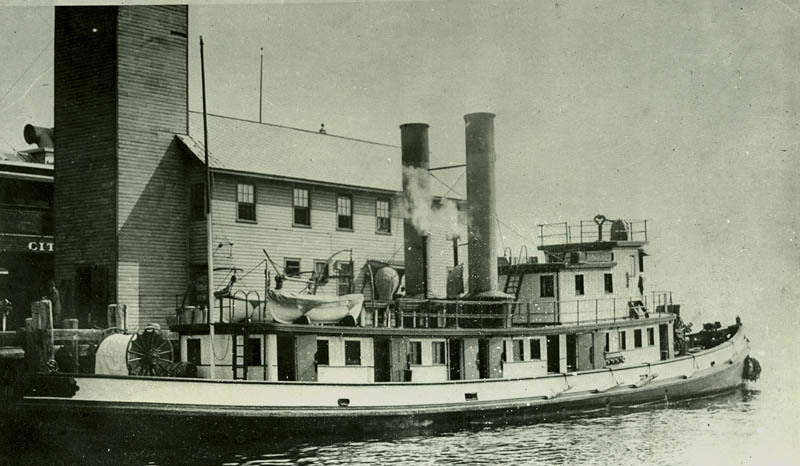 "Marine Units" was created 1959.
and FB The New Yorker 1890. 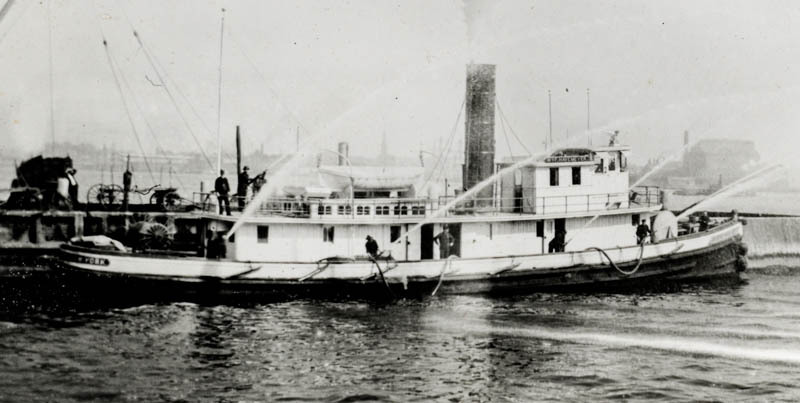 The Fireboat Seth Low 1885 was in reserve in 1908 and sold in 1909. 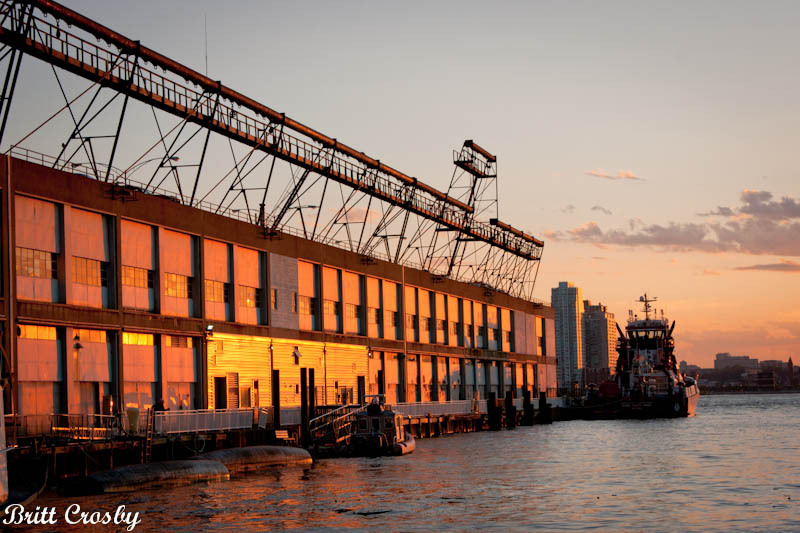 Currently at the Marine Division in Brooklyn. 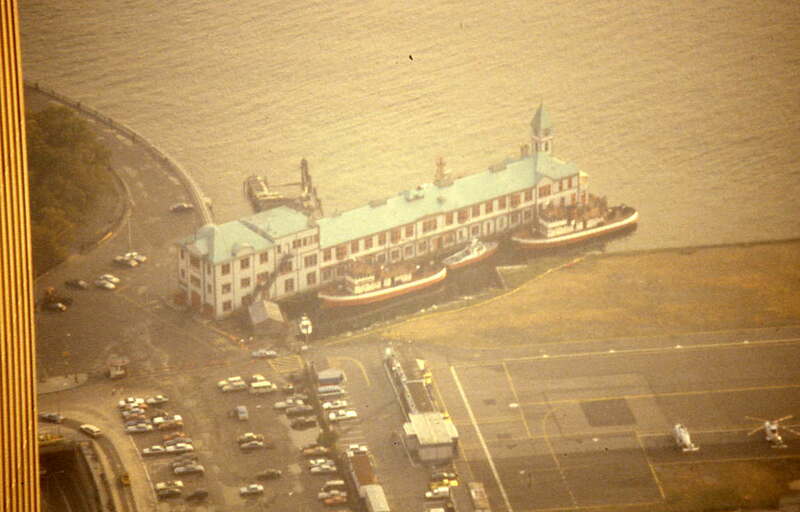 Pier A at the tip of Manhattan on the Hudson River. 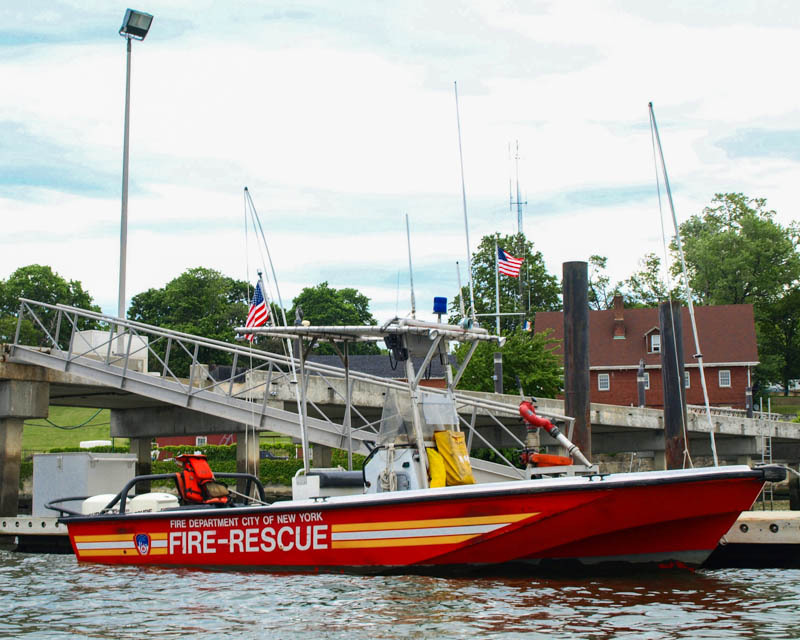 Home to active and reserve fire boats. 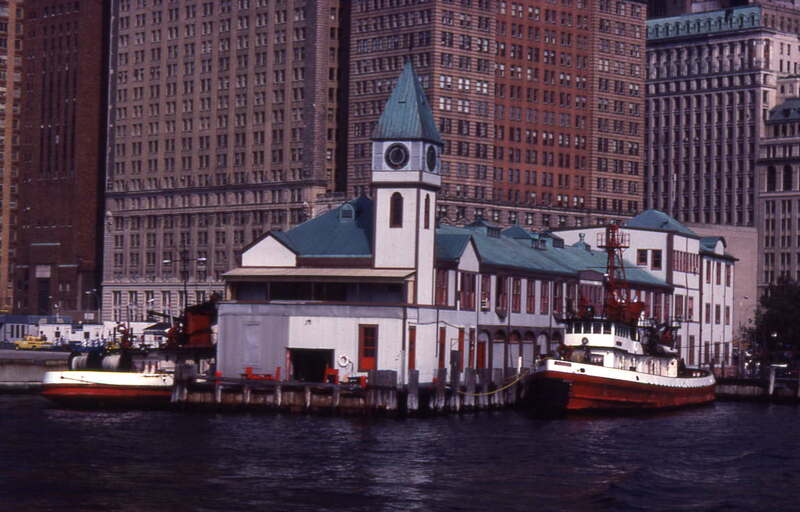 Fire Boat Station taken in 1986. 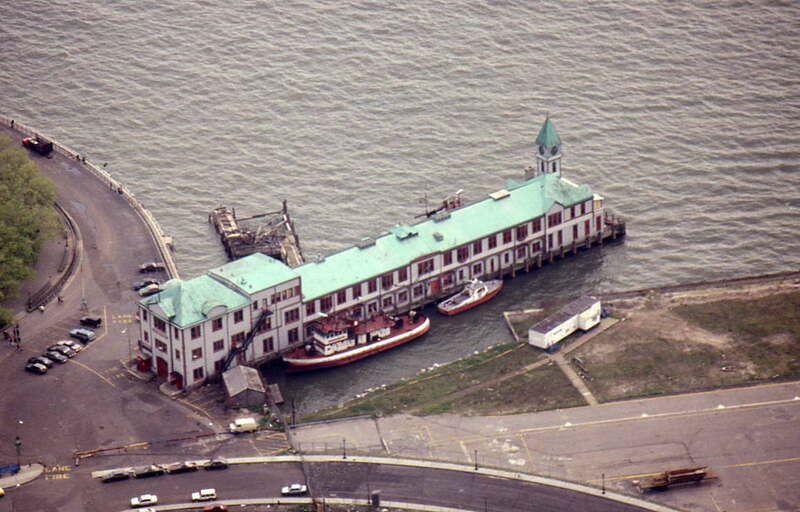 The "Wagner" "Smoke II" and "Archer"
The "Wagner" and "Smoke II"
Pier A stopped being the Marine Division HQ in 1992.
well under way as viewed from Marine 9 in Staten Island. 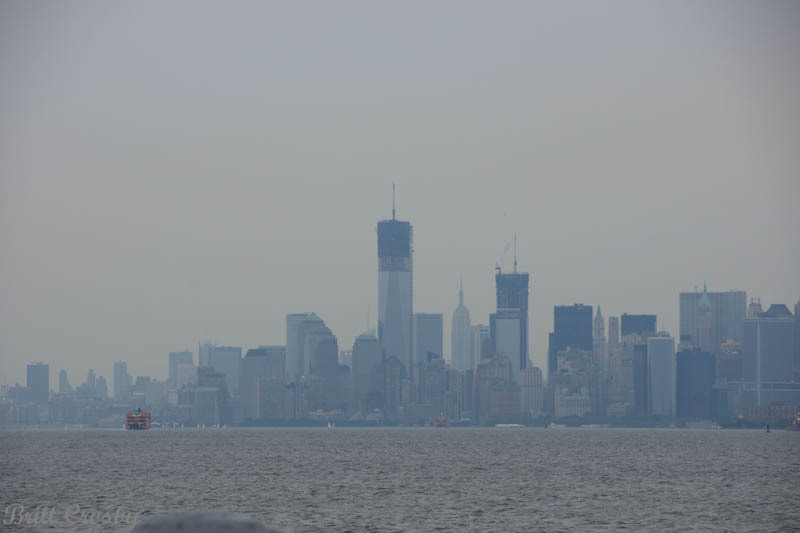 March 2015 view of lower Manhattan with the completed "1 World Trade Center"
aka "Freedom Tower" as viewed from Marine 9 quarters. 30 Hudson Street skyscraper and the George Washington Bridge beyond. 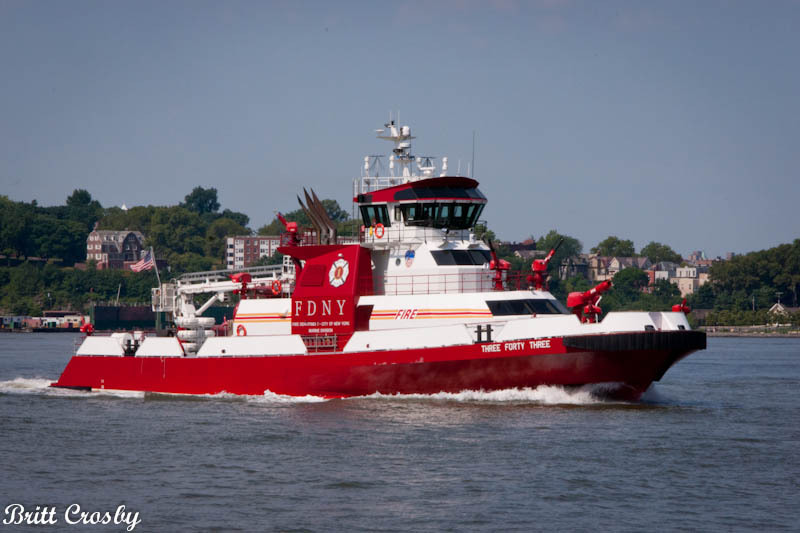 FDNY Old Marine 1 - "John D. McKean"
FDNY New Marine 1 - "Three Forty Three"
Cost estimated at $27 Million. quickly for fire and rescue operations. 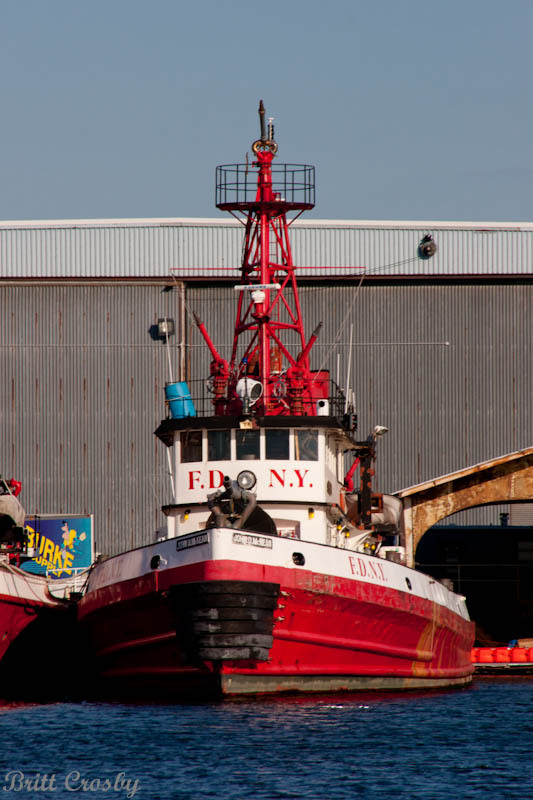 FDNY Old Marine 2 - "John J. Harvey"
The old Marine Company 2 was built in 1931. She served the city until retired in 1999.
the September 11, 2011 attacks on the World Trade Center. takes folks out for rides around the harbor. Eastern part of Coney Island in Brooklyn. Great Kills Park on the south shore of Staten Island. 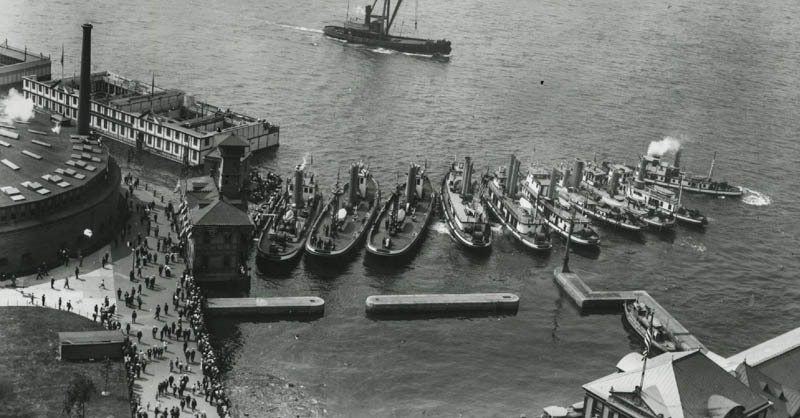 Several other small boats supplement the Marine Division. 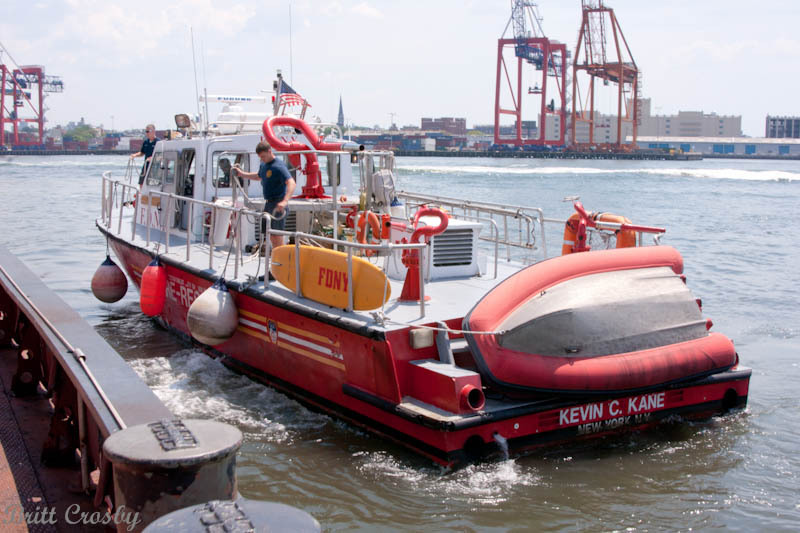 FDNY Old Marine 6 - "Kevin C. Kane"
One of the smaller vessels of the FDNY, the "Kevin C. Kane"
2011 when it was replaced by the "Bravest." The Kane is 52' LOA with a 6,500 gpm capacity. 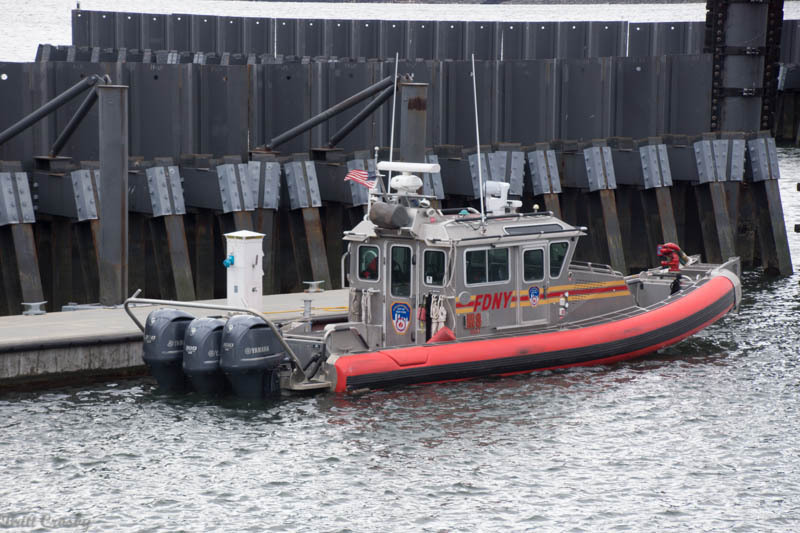 FDNY New Marine 6 - "Bravest"
Built in 2011 by SAFE Boats in Seattle, Washington. Marine 6 was trucked across county. 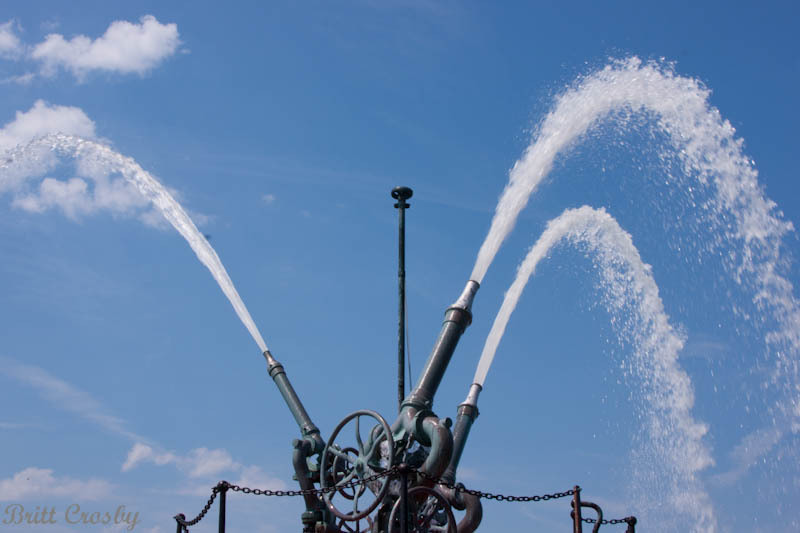 and can pump approximately 7,000 gpm. 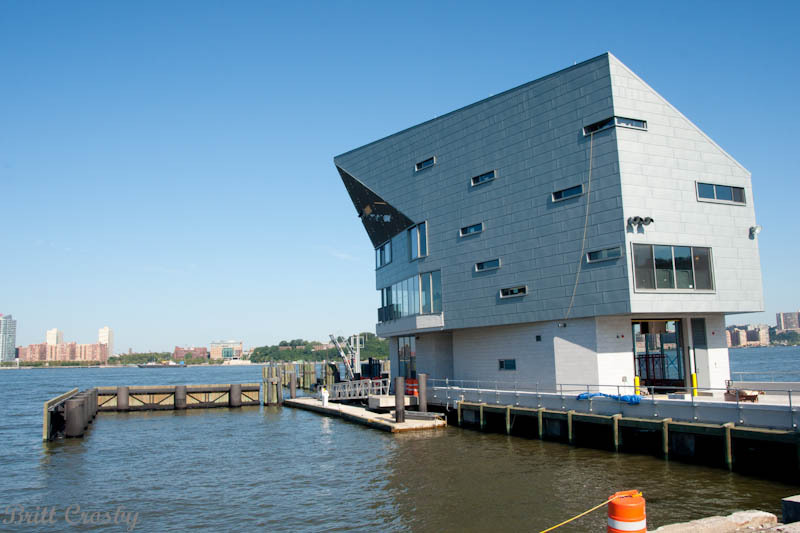 It is stationed at the Marine Division HQ in Brooklyn. 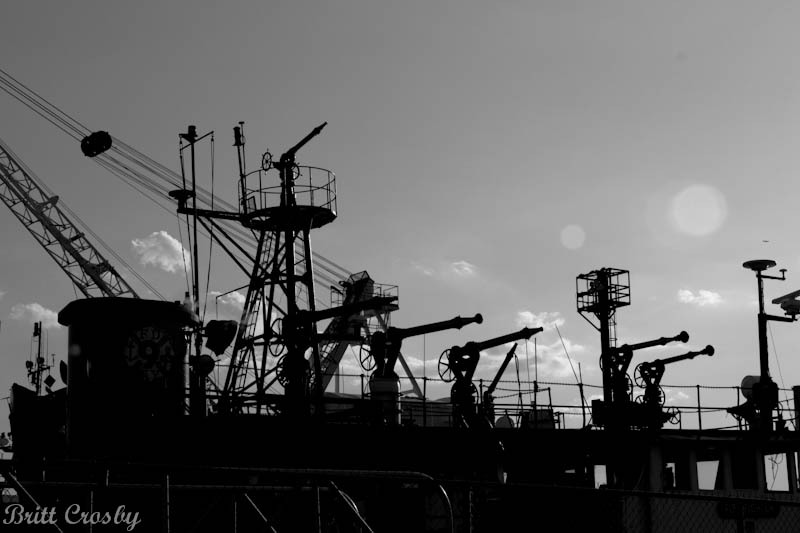 Built in 2012 by SAFE Boats in Seattle, Washington. easier patient care and movement. 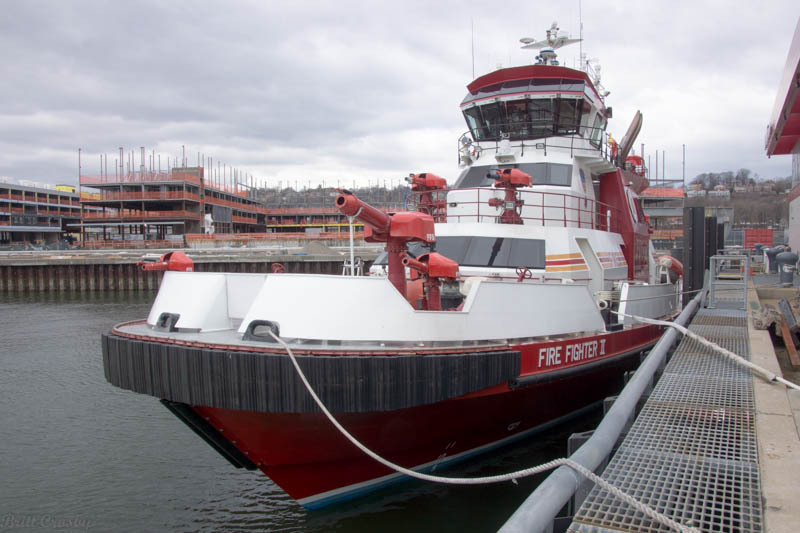 33 foot Safe Boat fire boat built in 2012 by SAFE Boats in Seattle, Washington. 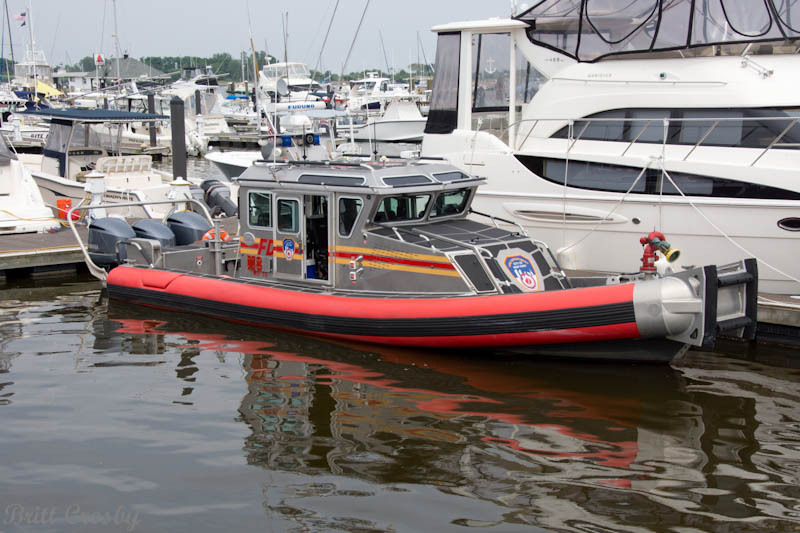 One of several new boats in 2012. 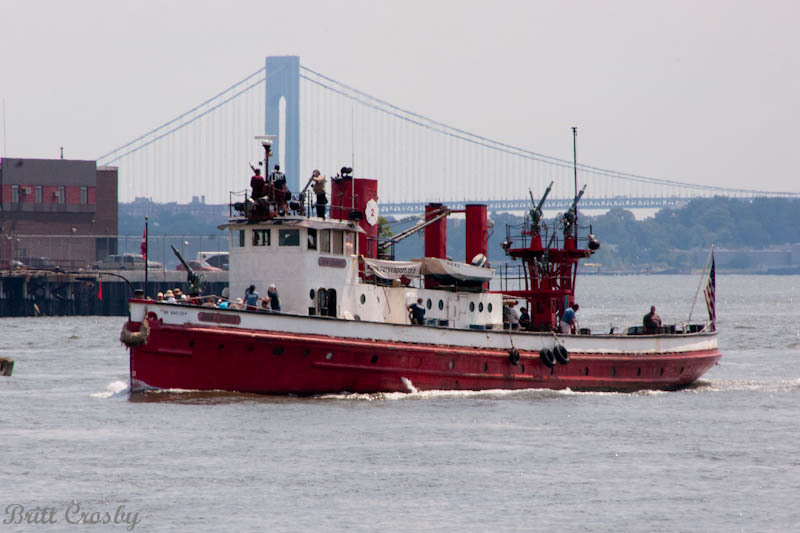 FDNY Old Marine 9 - "Fire Fighter"
and a group is trying to preserve the vessel as a historical museum. 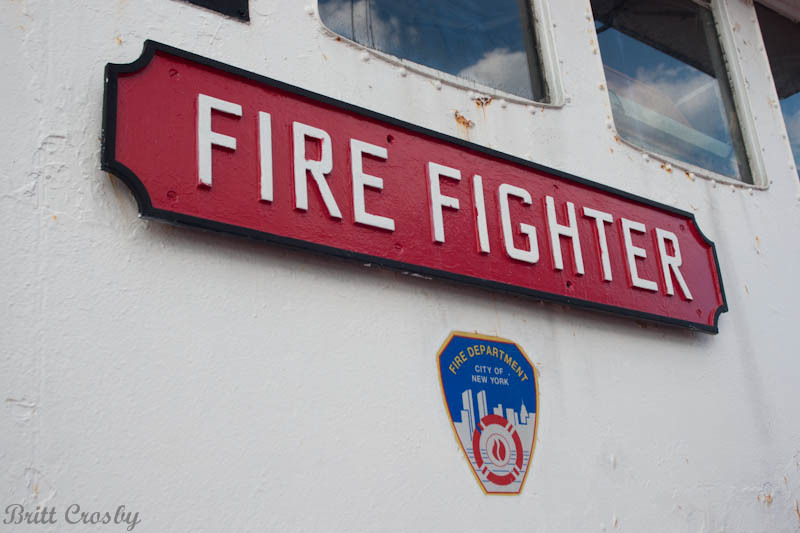 the "Fire Fighter" was built in 1938 at a ship yard in Staten Island. 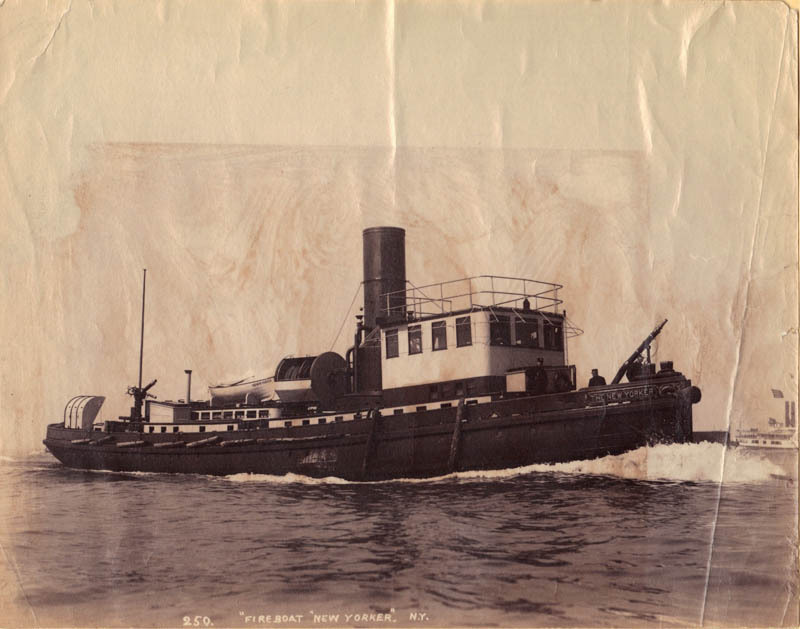 Diesel electric motors provided propulsion, pump drives, and power for the vessel. from an assortment of large caliber nozzles. 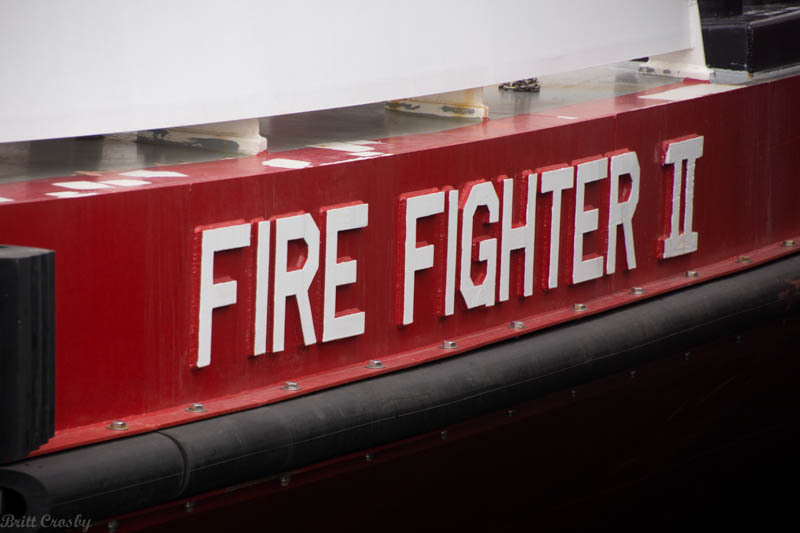 in 2011 when the new "Fire Fighter II" went in service. 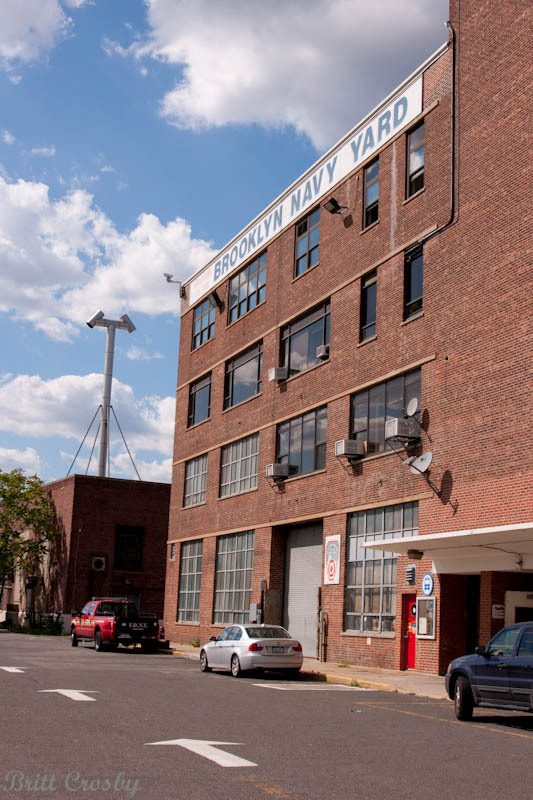 At the Marine Division in Brooklyn July 2011. 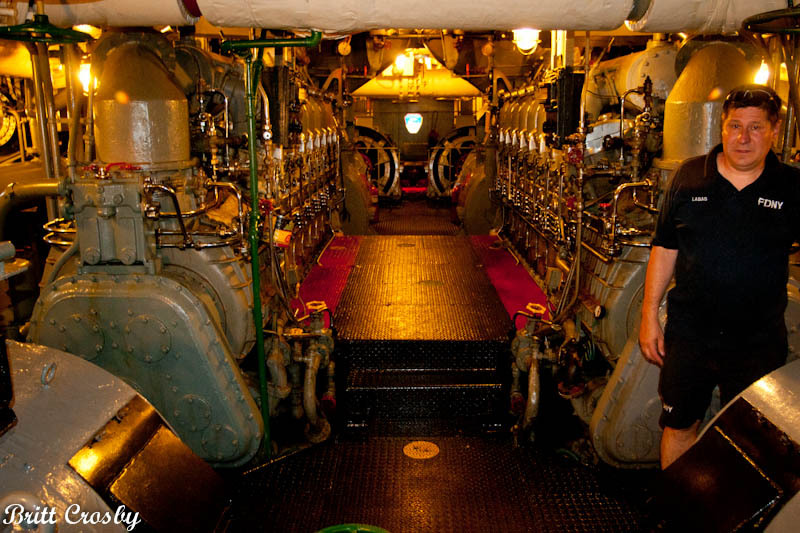 The power house engines below deck of the retired "Fire Fighter"
FDNY New Marine 9 - "Fire Fighter II"
with a 50,000 gpm pump capacity. 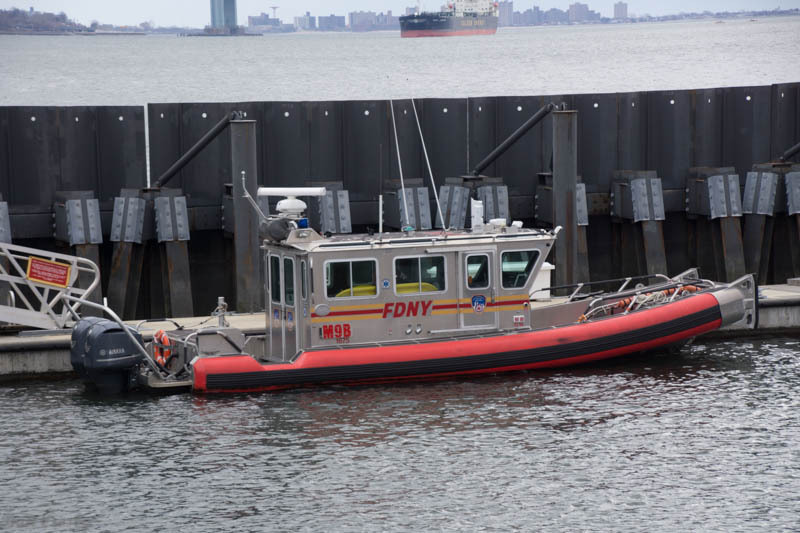 Marine 9 replaced the infamous 1938 "Fire Fighter"
and is assigned to Staten Island. 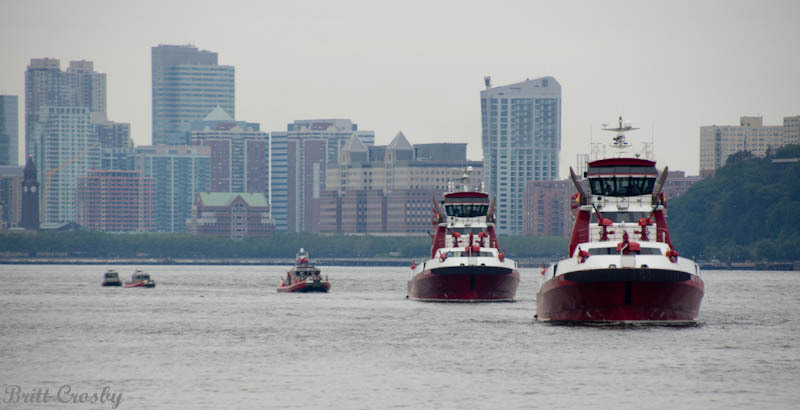 Staten Island Fireboat - Marine 9 "Fire Fighter II"
water display along with Marine 6 the "Bravest" during July 2012 Blessing of Fleet. 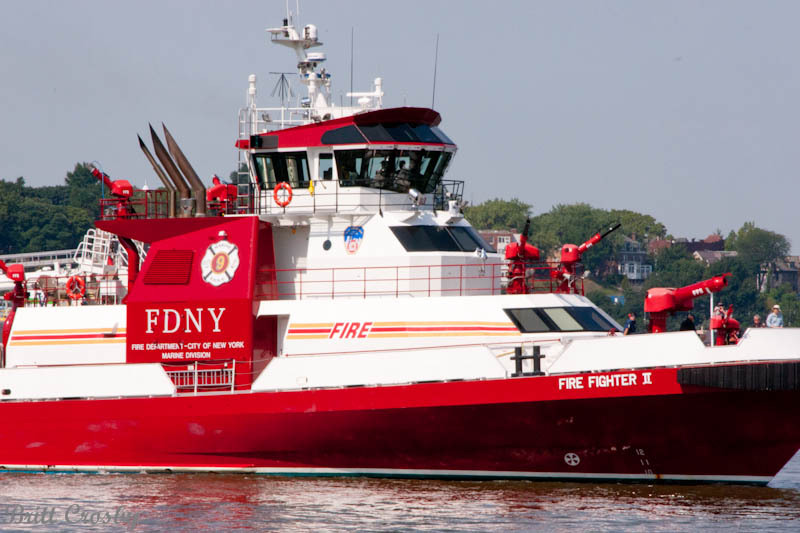 The "Three Forty Three" and "Fire Fighter II"
are probably the two most powerful fire boats in the world today. 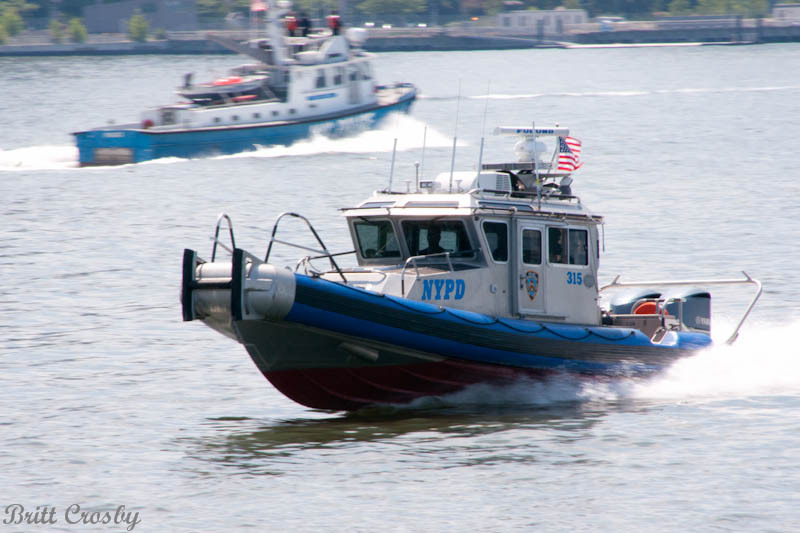 The New York City Police Department also operates a fleet of boats. Some of them are shown in this feature.